"He was never able to replicate the motivation and the performances to match the 2006-2007 years"
It’s sometimes hard to realise just how long ToD has been in the scene, “ToD was a top player when I was still a newbie,” said June “Lyn” Park, “I always wanted to play against him." He has almost become part of the Warcraft III furniture, someone whose retirement should not be tagged to, but every player must bow out sometimes. At least ToD leaves the stage with a medal collection worthy of the years spent playing. The pinnacle of ToD’s career is undoubtably his time in Four Kings, after the dissolution of arguably the greatest Warcraft III team in its history, he was never able to replicate the motivation and the performances to match the 2006-2007 years in Mousesports, Gravitas or WICKED. During those golden years he won $92,305 in individual events including a $30,000 prize cheque for WEG Masters where he crushed his Human rival Xiaofeng “Sky” Li 3-0 in the semis, before beating his team-mate Manuel “Grubby” Schenkhuizen 3-1 in the Grand Final. He was also one of the few players to be able to defeat the Fifth race Jang Jae “Moon” Ho on a regular basis. However, not all the time, as one of the memories of ToD’s career that stands out like a beacon is his defeat to Moon in WEG, where Moon – being quite the showman in Asian competitions – possessed ToD’s peasant with his Dark Ranger and built Human heroes. ToD voiced his opinion at the time stating he believed it was bad mannered as Moon could have finished the game beforehand. Nevertheless ToD was a big game player, able to topple even the illustrious fifth race, and throughout his career rarely fell out of the top 2 European players. "Nevertheless ToD was a big game player, able to topple even the illustrious fifth race"
ToD always walked a fine line between whining and standing for what he believed was right, from the outside it seemed childish but from the inside some players believe he helped to improve conditions. ToD famously refused to compete in eStars 2007 after he arrived to find promises that were made to him were not kept. The Frenchman asked that the map picking rules were to be changed and that air conditioning was made available for players, when he arrived to see he would have to sweat it out, he asked for thinking time to decide what he would do. He supposedly wished to phone Manuel “Grubby” Schenkhuizen to ask his opinion but the admins gave him only one minute to decide and ToD did not back down announcing his refusal to participate. 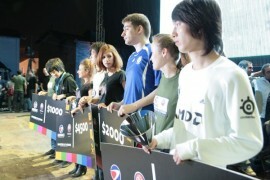 He made a similar decision in the Professional Gaming League in China in the same year, forfeiting the consolation final after air conditioning was not provided. However, he was not all mouth amassing over $122,000 in his five-year career in prize money alone, but it is more his attitude that will be his legacy than his prize money or rankings. ToD was notorious for speaking his mind, no matter if the consequences were reduced prize money, disqualifications, penalty points or losing favours with his peers.
" We are used to everyone keeping their heads down and getting on with their games, ToD was at least someone who stood out from the crowd. " ToD, despite being a figure that “is not like everyone else, you either love him or you hate him” according to Zeus, was someone who was to be taken at face value. In a scene where we are used to everyone keeping their heads down and getting on with their games, ToD was at least someone who stood out from the crowd. Just as he dared to speak his mind, he dared to move to China to enhance his playing career, helping to continue to build a name for himself in Asia even after he remained clanless for a short while, proving he did not need anyone to hold his hand. With the Beijing Olympics he once again displaced himself, this time to Korea where he currently resides. 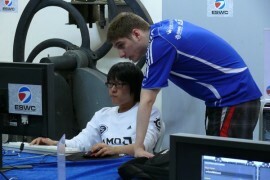 Near the end of his career he seemed to change his attitude towards the community; Solo commentating in Korea, writing blogs, streaming his games live through an Asian provider for the public to watch and being more open to giving interviews, it would seem it had dawned on him that he had perhaps not given back to the community as much as he could have. "His legacy will clearly be his attitude; which although brash at times, was honest, direct and unforgettable." This could also be linked to his reduced motivation for professional play, which was one of his reasons for calling it a day on a very successful career, but a change in attitude was clearly evident over the course of the last year or so. He allegedly said he would not be returning for Starcraft 2 or Poker, which could mean this is the last we will see of the Frenchman, but who knows. ToD lived the progamer lifestyle, travelled the world, enjoyed international success, beat the top players in their prime, but his legacy will clearly be his attitude; which although brash at times, was honest, direct and unforgettable.